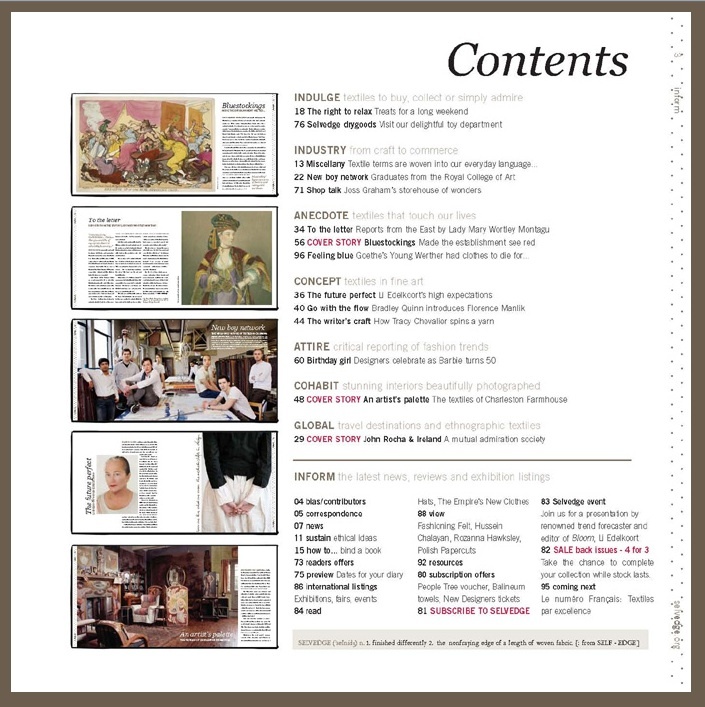 Shop Online > Yarn, Roving and Patterns > Selvedge Magazine Back Issues: 75% Off! Selvedge Magazine Back Issues: 75% Off! 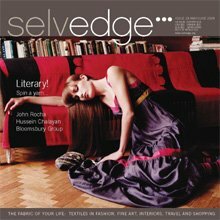 Selvedge Magazine... offers the world’s finest textile photography, unparalleled design and peerless writing. A few 2009 and 2010 Issues available. Please inquire. Their aim is simple: to provide a textile publication which fits seamlessly into their creative lifestyle. Directed towards an international, discerning audience, Selvedge covers fine textiles in every context: fine art, interiors, fashion, travel and shopping. See below to view this issues contents.